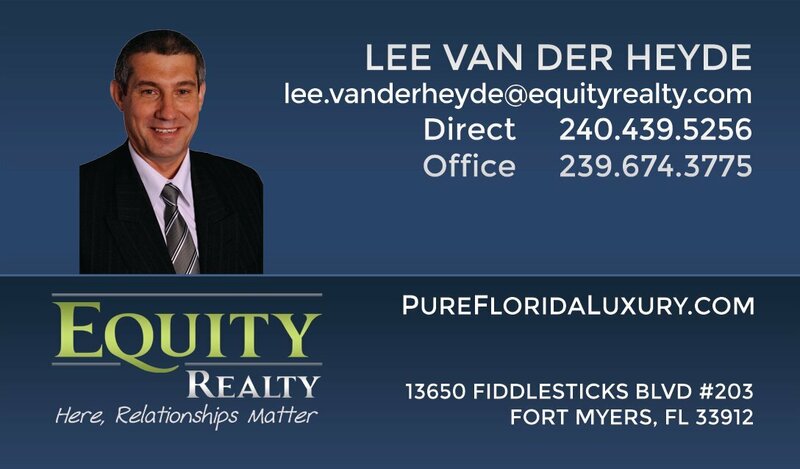 We would like to highly recommend Lee Van Der Heyde to anyone searching for a home in SWF. We found him to be highly professional and extremely helpful and supportive in the process of searching for a home, and right up to closing. He was extremely knowledgeable and endlessly patient. He answered all our questions and explained the process thoroughly and clearly. If you want an excellent realtor, with great expertise, this is the person to call. We would not hesitate to use his services again in the future. Thank you Lee. -Carla and Tony P.